The Yarra Valley's western edge is located just 45 kilometres east of Melbourne's CBD. This large wine region is bordered by the towns of Gembrook in the south, Kinglake in the north, Wantirna in the west and Mount Gregory in the east and incorporates major towns including Lilydale, Healesville, Yarra Glen and St Andrews. The Yarra Valley dates back nearly 180 years and is known as the birthplace of Victoria's wine industry. In 1838 the Ryrie Brothers planted the first vineyard at Yering Station and the first Yarra Valley wine was produced by James Dardel a few years later. From the 1860s to the early part of the 20th century the local wine industry flourished but due to an increase in popularly of fortified wine, wine production in the Yarra Valley was forced to stop. Replanting began in the late 1960s and between 1990 and 2000 around 40 new wineries were established, cementing the region’s future as a force to be reckoned with. The Yarra Valley wine region is now globally recognised as one of Australia's foremost cool climate regions, producing classic styles from a wide range of varieties including sparkling wine, Chardonnay; Pinot Noir; Cabernet Sauvignon and Shiraz. While the area is most famous for its world-class wineries (there are currently over 50), there’s more to the Yarra Valley than just wine. The area is made up of picture postcard country towns, markets and even microbreweries. 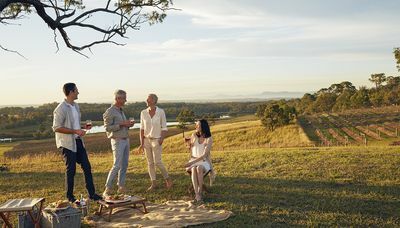 The Yarra Valley is also renowned for the beauty of the changing seasons, and an exciting food scene that has flourished around its local produce. Of course you could squeeze in the whole area in an extended day trip but if you can, you should consider staying a day or three if you’ve got a long weekend to burn. Our favourite and no doubt the most-visited of the wineries, De Bortoli has over 240 hectares of vineyards. Their wines include sparkling, cabernet sauvignon, shiraz, pinot noir, chardonnay, pinot grigio, and more. While you’re there be sure to allow plenty of time to indulge in their dedicated cheese shop. More information can be found here. Close by you’ll find the monthly Yarra Valley farmers’ market held on the third Sunday of each month. Pick up organic veggies and meat, home-made pies, cordial, sinful sweets, organic olives, cheese, coffee – all made by small producers. The popularity of craft beers in Melbourne is continuing to soar and there are several microbreweries in the area such as Coldstream Brewery, Hargreaves Hill Brewing Company and White Rabbit Brewery. Healesville is a beautiful country town that is well worth a visit, you’ll find gourmet food shops, chocolate shops, good coffee, bric-a-brac and plenty of friendly locals to point you in the right direction. Healesville is also home to the Healesville Sanctuary, a zoo specialising in native Australian animals. 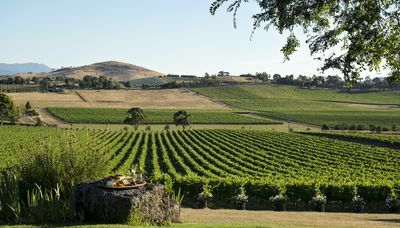 From 14th to 20th September, the Yarra Valley will host Chardonnay Now, a food and wine festival celebrating predominantly, you guessed it, Chardonnay but showcasing all the best food and wine of the region. 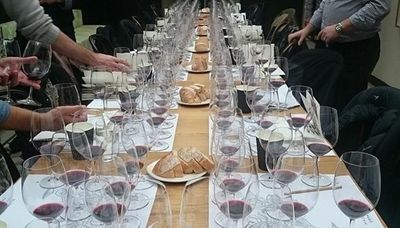 You can expect tastings, food and wine matching lunches and dinners and all surrounded by the rolling green hills of the Yarra Valley.